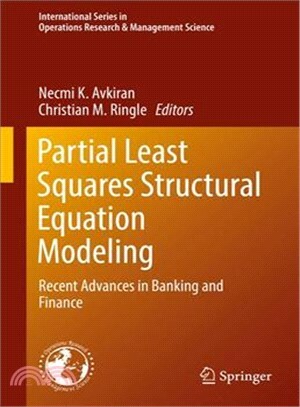 This book pulls together robust practices in Partial Least Squares Structural Equation Modeling (PLS-SEM) from other disciplines and shows how they can be used in the area of Banking and Finance. In terms of empirical analysis techniques, Banking and Finance is a conservative discipline. As such, this book will raise awareness of the potential of PLS-SEM for application in various contexts. PLS-SEM is a non-parametric approach designed to maximize explained variance in latent constructs. Latent constructs are directly unobservable phenomena such as customer service quality and managerial competence. Explained variance refers to the extent we can predict, say, customer service quality, by examining other theoretically related latent constructs such as conduct of staff and communication skills. Examples of latent constructs at the microeconomic level include customer service quality, managerial effectiveness, perception of market leadership, etc. ; macroeconomic-level latent constructs would be found in contagion of systemic risk from one financial sector to another, herd behavior among fund managers, risk tolerance in financial markets, etc. Behavioral Finance is bound to provide a wealth of opportunities for applying PLS-SEM. The book is designed to expose robust processes in application of PLS-SEM, including use of various software packages and codes, including R.
PLS-SEM is already a popular tool in marketing and management information systems used to explain latent constructs. Until now, PLS-SEM has not enjoyed a wide acceptance in Banking and Finance. Based on recent research developments, this book represents the first collection of PLS-SEM applications in Banking and Finance. This book will serve as a reference book for those researchers keen on adopting PLS-SEM to explain latent constructs in Banking and Finance. Necmi Kemal Avkiran is currently an Associate Professor in banking and financial studies. The main focus of his research has been bank performance measurement. Necmi is currently studying the efficiency of bank networks and transmission of systemic risk. He specializes in the applications of the productivity measurement technique data envelopment analysis and structural equation modelling in the service sector. He holds an award for excellence from the MCB University Press for a research paper on bank customer service quality, and his publication on bank networks has been identified by Thomson Reuters Essential Science Indicators as a featured Fast-Breaking Paper in the field of Economics & Business, August 2010. In May 2006 he published the third edition of the research book entitled Productivity Analysis in the Service Sector with Data Envelopment Analysis. The journals in which he has published include the Journal of Banking and Finance, OMEGA, Pacific-Basin Finance Journal, Accounting & Finance, Journal of Business Research, Annals of Operations Research, Scientometrics, Personnel Review, and International Journal of Human Resource Management, as well as on-campus publications. He is a member of the Australian Society for Operations Research (ASOR), and FINSIA. Christian M. Ringle is a Chaired Professor of Management at the Hamburg University of Technology (TUHH) and a Conjoint Professor at the Faculty of Business Law at the University of Newcastle. His research addresses the management of organizations, strategic and human resource management, marketing, and quantitative methods for business and market research. His research in these fields has been published in well-known journals such as Annals of Tourism Research, International Journal of Research in Marketing, Information Systems Research, Journal of Business Research, Journal of Service Research, Journal of the Academy of Marketing Science, Long Range Planning, MIS Quarterly, and Tourism Management. He is a cofounder of SmartPLS, a statistical software tool with a graphical user interface for partial least squares structural equation modeling (PLS-SEM).